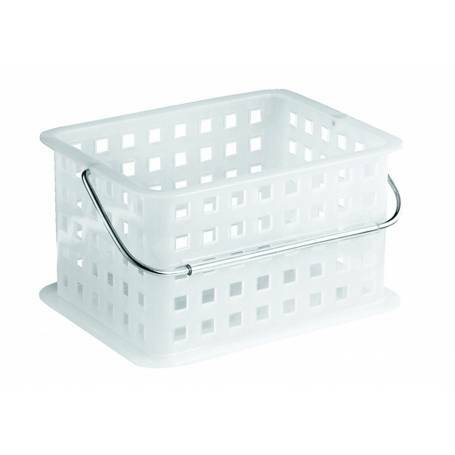 These stylish white lattice baskets are ideal for use in the kitchen, laundry or garage. Ideal for cleaning products, as a peg basket or simply sorting smaller items. It is completed with a wire handle and has a very flat lipped base ensuring stability.